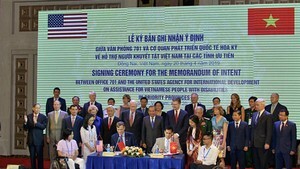 The first APEC Senior Officials’ Meeting (SOM 1) went on in Nha Trang city on February 22 with activities seven committees, working groups and forums of APEC. 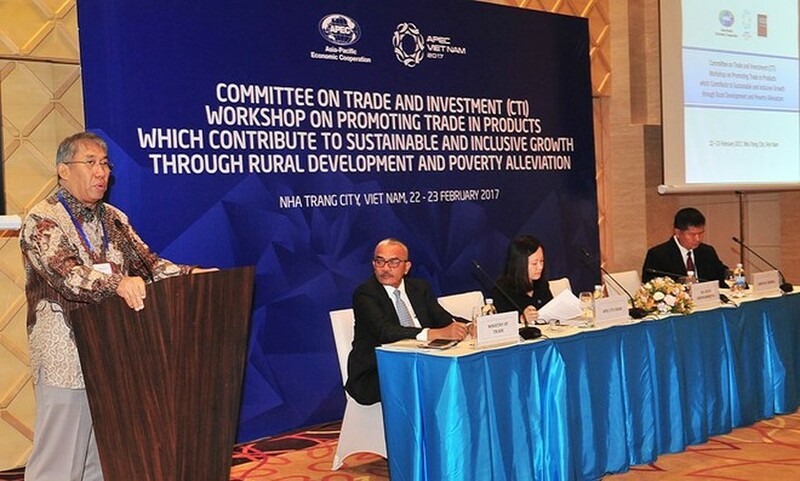 The Committee on Trade and Investment opened a seminar on trade promotion to help with sustainable and inclusive growth through rural development and poverty reduction. Attendees mulled over measures to boost sustainable and inclusive growth, remove trade barriers to products that directly contribute to growth, and improve the role of trade in poverty elimination and rural development. The APEC Electronic Commerce Steering Group began the first meeting within the framework of the Data Privacy Sub-Group. The event discussed the application of the Cross Border Privacy Rules System, updated about the use of the system, and shared the feedback of businesses using this system. Within the Competition Policy and Law Group, a workshop on economics in competition policy was commenced. Participants shared information and stressed the role of economic evidence in the settlement of competition-relevant cases, the role of the market, the power of the market, the issue of monopoly, and the enterprise merge policy. Meanwhile, the Human Resource Development Working Group (HRDWG) continued meetings of the Capacity Building Network, the Education Network, and the Labour and Social Protection Network. The functions approved activities to be carried out in 2017 and agreed to strengthen coordination at regional and international forums relating to education-training. The HRDWG organised a closing session of the first plenary meeting in 2017 later on February 22. The same day, the Counter Terrorism Working Group also finished the first plenary meeting, where the APEC members presented activities and anti-terrorism measures they have conducted within other multilateral forums and mechanisms. They also agreed on priorities of the group’s upcoming meeting. The Life Science Innovation Forum also wrapped up the first plenum, in which it reviewed cooperation outcomes in 2016, looked into the commercialisation of biomedical technology and the use of big data in medical research. Also on February 22, representatives of the APEC economies continued the meeting of the Sub-Committee on Customs Procedures to debate policies and measures to augment cooperation in IT and risk management, the intellectual property protection at border, counterfeit prevention, and cross-border e-commerce. They were also updated about the implementation progress of the Collection Action Plan while suggesting orientations for fostering cooperation with other committees and working groups of APEC.